A very short service announcement. 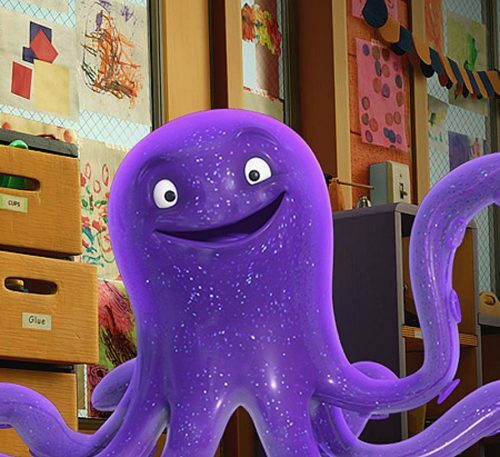 Raspbian Stretch is now available for Raspberry Pis hosted in our Raspberry Pi Cloud. This joins Raspbian Jessie and Ubuntu Xenial as available images. With all of these you can upload an SSH key through our control panel and log in directly. Re-imaging and rebooting can both also be done directly from our control panel. Re-imaging your Raspberry Pi will reset the image and delete all data on your Cloud Pi. On the server side the most significant upgrade is PHP 7, which should double the performance of PHP-based applications running on the Raspberry Pi. Within Mythic Beasts we have an internal chat room that uses IRC (this is like Slack but free and securely stores all the history on our servers). Our monitoring system is called Ankou, named after Death’s henchman that watches over the dead, and has an IRC bot that alerts through our chat room. This story starts with Ankoubot, who was the first to notice something was wrong with the world. 15:31:42pete I can’t get ssh in, I’m on the console. Debugging is difficult because /var/log is missing. systemd appears completely unable to function and we have no functioning logging. Unable to get ssh to start and fighting multiple broken tools due to missing mounts, we restart the server and mail the customer explaining what we’ve discovered so far. This doesn’t help and it hangs attempting to configure NFS mounts. I just managed to do the dumbest of dumb and did an rm -rf on /var instead of ./var which broke most things and killed my ssh session before very long. Can you let me know if that’s the case, and if you’ll be able to restore from the most recent backup? Boot to recovery media completes ready for restore from backup. We just had our alerts go off and I’d taken it to recovery mode to boot it again. I confess my thoughts had got to ‘how did this ever boot?’ and that explains why. We’ve a backup from 00:14 this morning. I take it restoring from that would be a good plan? I’ll keep a copy of the fs incase there’s any newer changes you need to recover. Cheers, the restore from this morning should be fine, I don’t believe anything should have changed since then, on the filesystem or in the dbs. I’ve restored /var from the backup, booted the machine back up and done a mysql restore for you. Our alarms have cleared and it looks like the website is back. Can you confirm that’s all you need? Customer confirms everything is restored and functional and gives permission to anonymously write up the incident for our blog including the following quote. Mythic Beasts had come highly recommended to me for the level of support provided, and when it came to crunch time they were reacting to the problem before I’d even raised a support ticket. This is exactly what we were looking for in a managed hosting provider, and I’m really glad we made the choice. Hopefully however, I won’t be causing quiet the same sort of problem for a looooong while. In total the customer was offline for slightly over 30 minutes, after what can best be described as a catastrophic administrator error. The participants of the FRμIT project, distributed Raspberry Pi cloud. FRμIT is an academic project that looks at building and connecting micro-data-centres together, and what can be achieved with this kind of architecture. 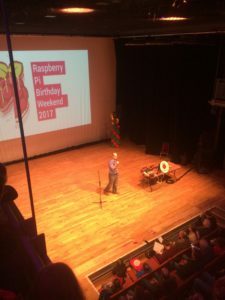 Currently they have hundreds of Raspberry Pis and they’re aiming for 10,000 by the project end. They invited us to join them, we’ve already solved the problem of building a centralised Raspberry Pi data centre and wanted to know if we could advise and assist their project. 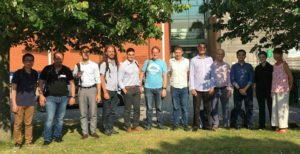 We recently joined them in the Cambridge University Computer Lab for their first project meeting. Currently we centralise computing in data centres as it’s cheaper to pick up the computers and move them to the heart of the internet than it is to bring extremely fast (10Gbps+) internet everywhere. This model works brilliantly for many applications because a central computing resource can support large numbers of users each connecting with their own smaller connections. It works less well when the source data is large and in somewhere with poor connectivity, for example a video stream from a nature reserve. There are also other types of application such as Seti@Home which have huge computational requirements on small datasets where distributing work over slow links works effectively. At a recent UK Network Operator Forum meeting, Google gave a presentation about their data centre networking where they built precisely the opposite architecture to the one proposed here. They have a flat LAN with the same bandwidth between any two points so that all CPUs are equivalent. This involves around 1Gbps of bandwidth per 1GHz of CPU. This simplifies your software stack as applications don’t have to try and place CPU close to the data but it involves an extremely expensive data centre build. This isn’t an architecture you can build with the Raspberry Pi. Our Raspberry Pi cloud is as about as close as you can manage with 100Mbps per 4×1.2GHz cores. This is about 1/40th of the network capacity required to run Google architecture applications. But that’s okay, other applications are available. As FRμIT scales geographically, the bandwidth will become much more constrained – it’s easy to imagine a cluster of 100 Raspberry Pis sharing a single low bandwidth uplink back to the core. This immediately leads to all sort of interesting and hard questions about how to write a scheduler as you need to know in advance the likely CPU/bandwidth mix of your distributed application in order to work out where it can run. Local data distribution becomes important – 100+ Pis downloading updates and applications may saturate the small backbone links. They also have a variety of hardware types, the original Pi model B to the newer and faster Pi 3, possibly even some Pi Zero W.
We took the members of the project through our Raspberry Pi Cloud is built, including how a Pi is provisioned, how the network and operating system are provisioned and the back-end for the entire process from clicking “order” to a booted Pi awaiting customer login. In discussions of how to manage a large number of Federated Raspberry Pis we were pleased to find considerable agreement with our method of managing lots of servers: use OpenVPN to build a private network and route a /48 of IPv6 space to it. This enables standard server management tools work, even where the Raspberry Pis are geographically distributed behind NAT firewalls and other creative network configurations. If you have an old Raspberry Pi, perhaps because you’ve upgraded to a new Pi 3, you can donate it directly to the project through PiCycle. They’ll then recycle your old Raspberry Pi into the distributed compute cluster. We’re looking forward to their discoveries and enjoyed working with the researchers. When we build solutions for customers we’re aiming to minimise the number of unknowns to de-risk the solution. By contrast tackling difficult unsolved problems is the whole point of research. If they knew how to build the system already they wouldn’t bother trying. We refuse to bid for government IT work because we can’t handle the incompetence. At Mythic Beasts we make use of free secure encryption all the time. Like all powerful tools such as roads, trains, aeroplanes, GPS navigation, computers, kitchen knives, vans and Casio watches; things that are very useful for day to day life are also useful for criminals and terrorists. It’s very popular for our politicians and the Home Office, especially our current prime minister King Canute Theresa May and leader of The Thick Party, to suggest that fully secure encryption should be banned and replaced with a weaker version that will reveal all of your secrets but only to the UK security services. We disagree and think this is a terrible idea. There’s the basic technical objection that a backdoor is a backdoor and keeping knowledge of the backdoor secret is essentially impossible. There’s a recent practical demonstration of this: the NSA knew of an accidental backdoor in Windows and kept it secret. It was leaked, resulting in the thankfully not very effective WannaCry virus which disabled substantial fractions of the NHS. The government is very good at scope creep: the Food Standards Agency refused to disclose why it needs the power to demand your entire internet history. We think it fundamentally wrong that MPs excluded themselves from the Investigatory Powers act. Then there’s simple commercial objections: it’s a slight commercial disadvantage if every UK product has an ‘Insecure By Order of The Home Office’ sticker on the front when your foreign competitors products don’t. However, Mathematics does not care what our politicians wish and refuses to change according to their desires. Strong cryptography is free, available on every computer, and can be given away on the front of a magazine. Taking away secure cryptography is going to involve dragging a playstation out of your teenagers’ hands, quite literally stealing from children. Of course secure communications will still be available to any criminal who can illegally access some dice and a pencil. It’s a good job you can’t build encryption machines with childrens toys. At Mythic Beasts we make extensive use of open source free cryptography. OpenSSH protects our administrative access to the servers we run and the customers we manage. 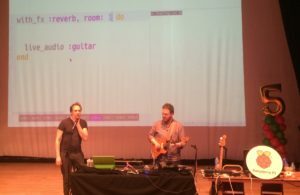 OpenSSL protects all our secure web downloads, including last month’s million or so copies of Raspbian ensuring that children with a Raspberry Pi don’t have their computer compromised. We make extensive use of free certificates through Let’s Encrypt and we’ve deployed tens of thousands of upgraded packages to customers which are securely verified by GnuPG. Without these projects, vast quantities of the internet would be insecure. So we’ve made donations to OpenSSH, GnuPG and Let’s Encrypt to support their ongoing work. 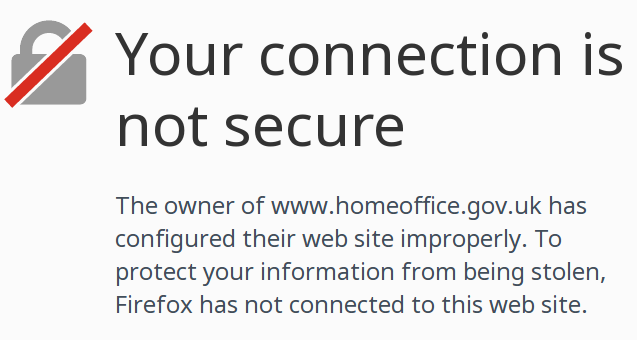 We’d like to donate to OpenSSL but we can’t see easily how to pay from a UK bank account. The last pub in Dry Drayton has closed and is under threat of development. As a community, we’re working hard to save it. It’s Beer Festival week in Cambridge. Suddenly official work takes a back seat compared to the importance of drinking, serving and appreciating fine beer in the sunshine. It’s great that the volunteers behind the bar include friends, colleagues, customers, suppliers and the occasional former MP. However, for 51 weeks of the year the Cambridge Beer Festival isn’t operating and beer lovers among us have to go to a more humble establishment, the pub. Cambridge City is blessed with multiple excellent pubs, but occasionally it’s nice to take a visit to the outlying villages. 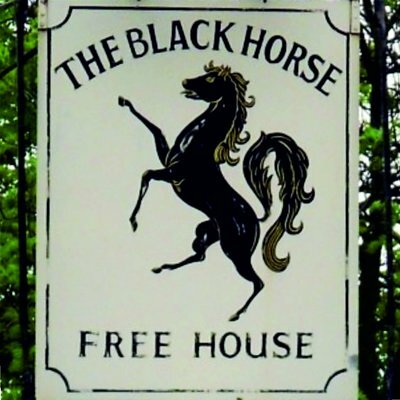 So we were very saddened to hear that the only pub in Dry Drayton, the Black Horse, was due to close. However, a community group has started assembling plans to turn it into a community pub on a similar model to the excellent Dykes End in Reach. They asked us to help with setting up their on-line presence. Mythic Beasts fully support the effort to have lovely pubs within walking and cycling distance so we’ve provided a Managed WordPress site to help their campaigning efforts. Today we’ll share a beer with them in the Beer Festival, and in the near future we hope to take a field trip to their re-opened countryside pub. Update: They reported last night they’ve had a lot of signups to their newsletter and several interested investors. It looks like we’re going to be part of a successful pub rescue! We drew the architecture diagram for the beer festival on a beer mat. Today marks the first day of the Cambridge Beer Festival, the longest running CAMRA beer festival, one of the largest beer festivals in the UK and in our obviously correct opinion, by far the best. 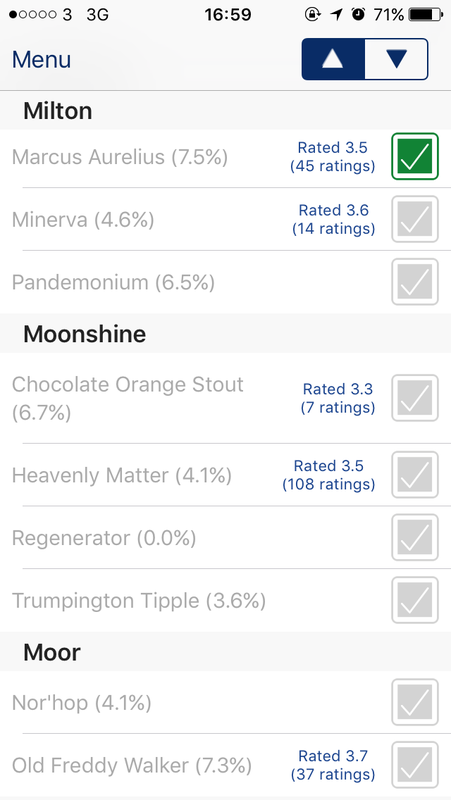 Not only have we run the web back-end for many Cambridge CAMRA websites for many years, this year we’ve been involved with Cambridge App Solutions who run the iPhone Beer Festival App. They’d been having some trouble with their existing hosting provider for the back-end. In frustration they moved it to their Cloud Raspberry Pi which worked rather better. They then suggested that we keep the production service on the Raspberry Pi, despite it being a beta service. We’ve set up all our management services for the hosted Pi in question, including 24/7 monitoring and performance graphing. We then met up with Craig, their director in the pub to discuss the app prior to launch. The Pi 3 is fronted by CloudFlare who provide SSL. However, the connection to the Pi3 from Cloudflare was initially unencrypted. 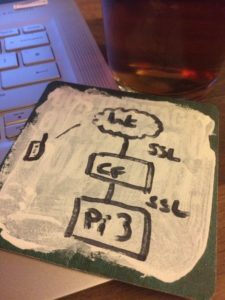 We took Craig through our SSL on a Raspberry Pi hosting guide and about a minute later we had a free Let’s Encrypt certificate to enable full end-to-end data security. 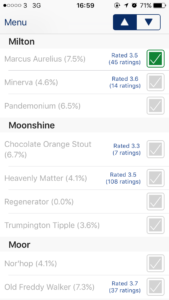 The iPhone Beer Festival App tracks which beers are available and the ratings for how good they are. Availability is officially provided, ratings are crowd sourced. The app is continuously talking to the back end to keep the in app data up to date. All this data is stored and served from the Raspberry Pi 3 in the cloud. The festival also has some Estimote beacons for proximity sensing which use Bluetooth Low Energy to provide precise location data to the phone. 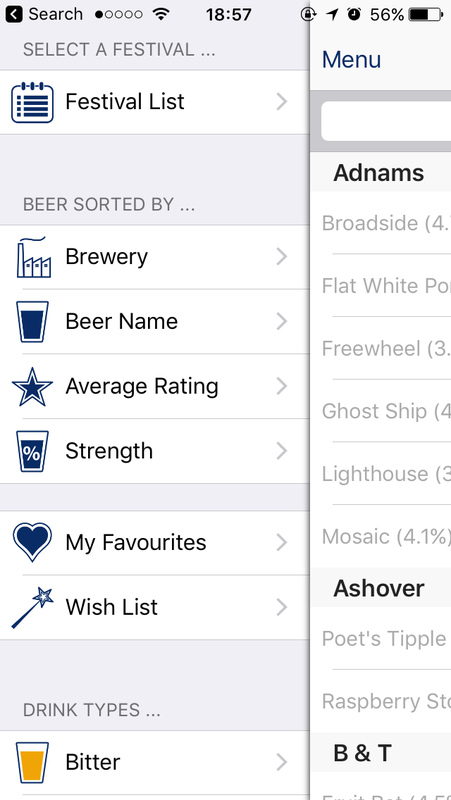 On entry to the beer festival the app wakes up and sends a hello message. We’ve made some improvements to our Raspberry Pi Cloud. Upgraded kernel to 4.9.24, which should offer improved performance and a fix for a rare crash in the network card. Minor update to temperature logging to ease load on our monitoring server and allow faster CPU speeds. Upgrade to the NFS fileserver to allow significantly improved IO performance. Recent updates applied to both Debian and Ubuntu images. Thanks to Gordon Hollingworth, Raspberry Pi Director of Engineering for his assistance. Two Raspberrys PI using PHP7 during the Pi 3 launch. Last April we moved the main blog for Raspberry Pi to a small cluster of Raspberry Pi 3s. This went so well we made it commercially available and you can now buy your Raspberry Pi 3 in the cloud. If you’d like to have PHP 7 running on your Raspberry Pi 3 in the cloud, this guide if for you. Click the link, buy a Pi 3 and install your ssh-key and log in. This should take no more than about a minute. PHP 7 isn’t yet part of the standard Raspbian OS, so we need to get it from somewhere else. 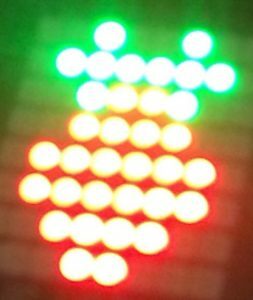 Raspbian is an unofficial port for 32bit ARMv6 and a floating point unit, which matches the hardware for an original Raspberry Pi model B. Because we’re working here with the Pi 3 – ARM8 and floating point, we can take official debian armhf packages and run them directly on our Pi 3. 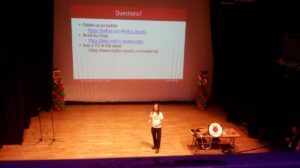 Ondřej Surý is the Debian PHP maintainer who also has a private repository with newer versions of PHP built for Debian and Ubuntu. So we can use 32 bit Debian packages for ARM 7 (armhf) and install directly on top of Raspbian. PHP 7 packages aren’t available for armel, so this won’t work on an original Raspberry Pi, or a Pi Zero/Zero W.
Wait a few moments and we have a webserver running PHP7 on our Pi3 in the cloud. You’ll note we’ve included php7-opcache. This should accelerate our PHP performance by a factor of two or so. WordPress needs a MySQL server & PHP library for accessing MySQL. We need to restart Apache to make PHP 7 pick up the additional library. We strongly recommend you invent a better password. Then navigate to http://www.yourpiname.hostedpi.com/wordpress and finish the install through your browser. For information on how to host on your own domain name, and how to enable HTTPS see our previous blog post on hosting a website on a Raspberry Pi.